Guess who just came back from vacation!?!?! This girl did!! I didn’t go far. Just explored California for a bit. I’m trying to mark off a few places on my bucket list. The following post will most likely be about food. What can I say??? Food makes me really happy! 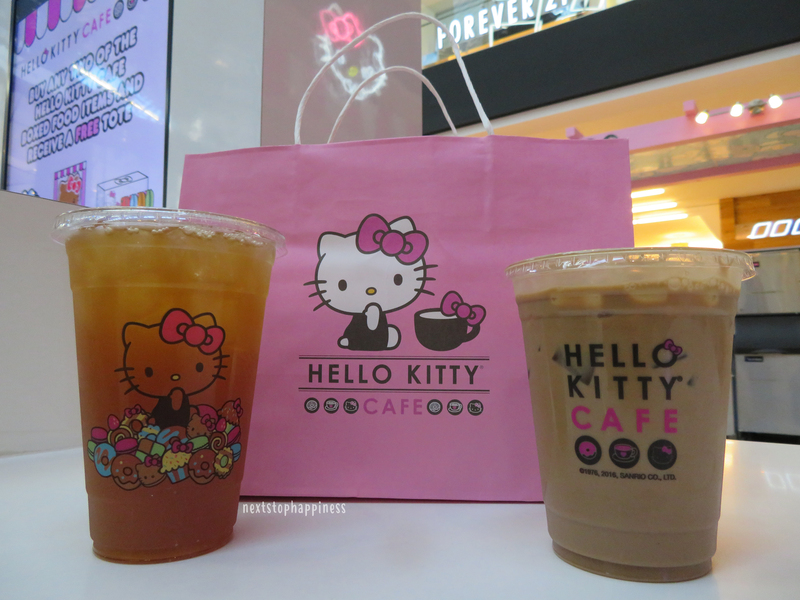 I had the opportunity to go to the Hello Kitty Cafe this time around. I totally forgot to think about going there because I wanted to hit up the beaches before it became unbearably cold outside. 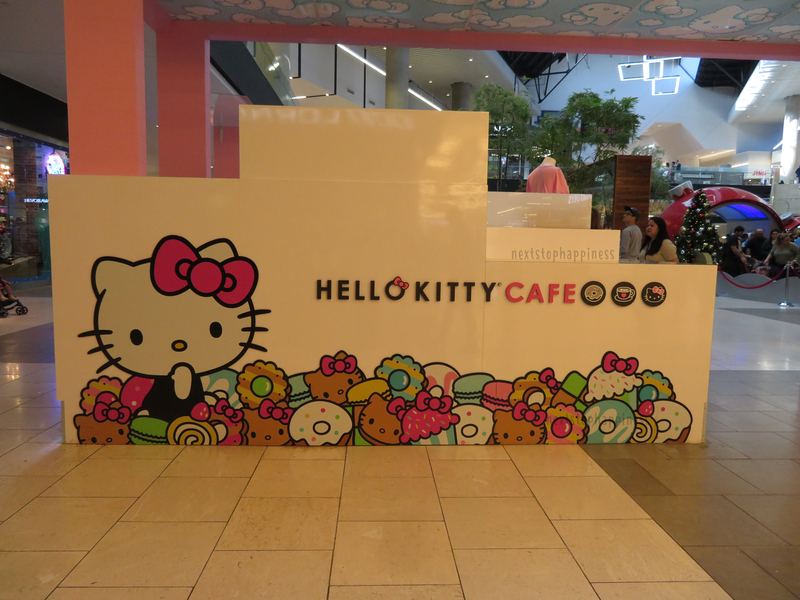 To my surprise, my boyfriend remembered about the Hello Kitty Cafe (It makes me happy to know he remembers my obsessions!). After exploring the city, we decided to take the trip to the mall where the cafe is located. 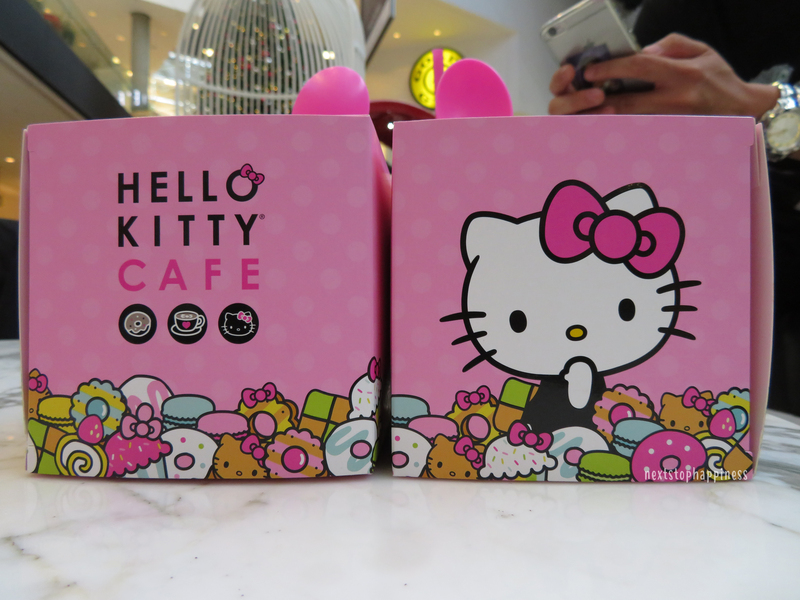 The Hello Kitty Cafe is located in Arcadia inside Westfield Santa Anita Mall. It was hard to actually find where the Cafe was because this mall is really BIG. If you get “squirreled” a lot, this mall is for you. You can find all types of stores here like Muji, Uniqlo and even a Nike Run store. You name it, they probably have it. After a bit if walking, we figured we should just ask where it was located since the mall map was useless. Lo and behold it was in the center of the mall. The girls who were working behind the counter were very friendly, but not as informative as I hoped they would be. When I asked about their popular dessert, they didn’t give me a straightforward answer. 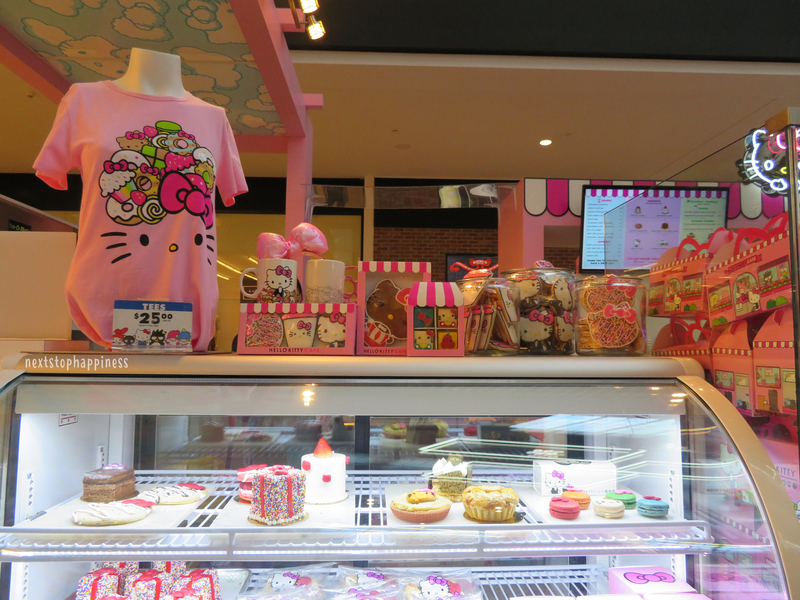 An “everything is popular because it is Hello Kitty” statement was said. I decided to take a chance and ordered Mama’s Apple Pie and my boyfriend decided to get the Tiramisu. This along with an order of Cafe Mocha and Passion Fruit Ice Tea, my grand total came out to be $25. Keep in mind, you’re paying for the name. I was super hyped about the cute boxes the baked goods came in. I wanted to keep them, but they got tarnished while we were unboxing. Here’s the truth – the cake and pie were cute to look at, but they definitely did not taste good at all. Mama’s Apple Pie was not only very cold, it was practically frozen. The inside itself didn’t have a lot of apple filling and it was mostly the puff pastry they used. The Tiramisu was just absolutely awful. Again, it was frozen and their frosting was really buttery that it left an oily after taste. The Cafe Mocha was mediocre and I could have probably gotten something better with the same price tag on it. The only thing that was consumable was the Passion Fruit Ice Tea. It was the right amount of sweet and the right amount of black tea. Other than that, whatever we ordered was a complete let down. Don’t get me wrong, I still love Hello Kitty. I am very glad I actually got to try this place out. But would I go here again? Probably not.